Thanks for a great ROS Kong 2014! We want to express our thanks to everyone who made ROS Kong 2014 a great success. It was our first ROS event in Asia and it was great to see the enthusiasm from the nearby community as well as the community members who came from all around the globe. ROS Kong was designed as a complement to our annual conference ROSCon, which will happen in Chicago in September. Our speakers, who put together awesome talks. Our attendees, without whom there would be no event! 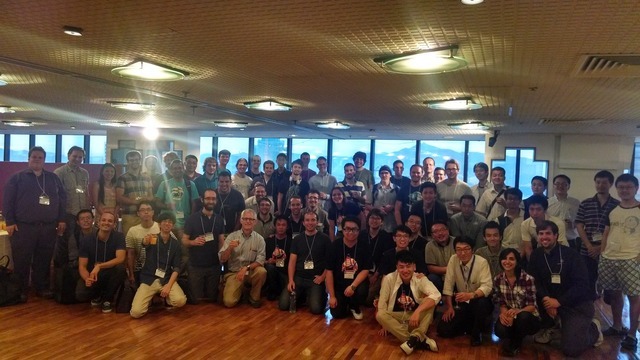 The event included invited talks from ROS community members in the Australasia region. 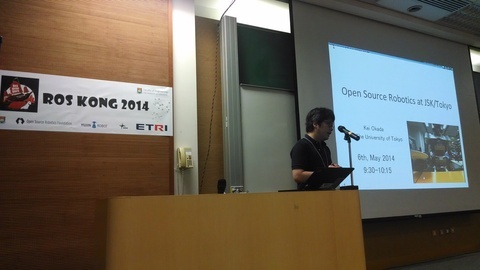 We started with a keynote from Kei Okada from the University of Tokyo. 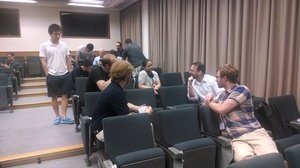 We also had talks from Paulo Borges, Chris Swetenham, Noriaki Ando, and Daniel Stonier. We have added links to video recordings of all the talks from the agenda and several of the presenters have provided their slides. 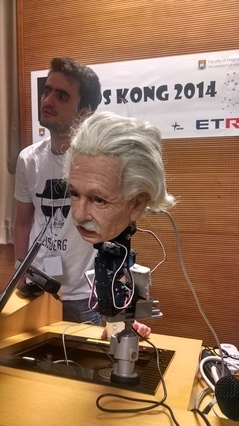 We had two Lightning Talk sessions in which many attendees talked about their current work, put out calls for collaboration, or showed off new sensors or robots, such as Einstein from Hansen Robotics and the new RPLidar sensor from RoboPeak. In the afternoon we left a period open for Birds of a Feather sessions during which there were 16 different topics discussed. 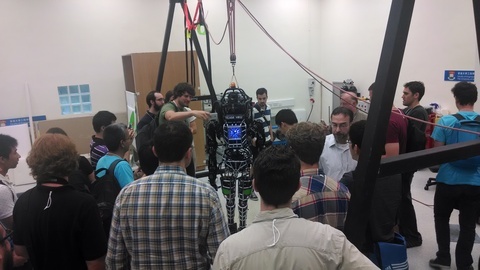 Over lunch, our host, The University of Hong Kong, provided us with live demos of ATLAS as well as a chance to check out the robot up close. 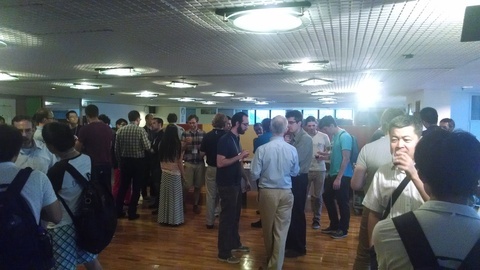 We finished out the day with a reception overlooking Hong Kong in the HKU Faculty Club. If you'd like to see more pictures and videos of the event they are posted on the Google+ event page. This page contains a single entry by Tully Foote published on July 14, 2014 8:00 AM. ROS Indigo Igloo Beta 2 was the previous entry in this blog. ROSCon 2014 submission deadline is Friday is the next entry in this blog.